Rehabs are in the news once again! How is a parent supposed to know what to look for when all they hear are the horror stories? 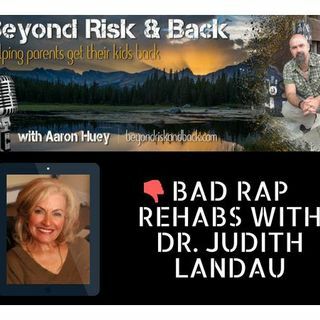 Aaron Huey, Founder of Firemountain Residential Treatment Center, and Dr. Judith Landau break down the “what to look for” in a treatment program. Judith Landau, MD, DPM, LMFT, CFLE, CIP, CAI, CRS, President and CEO of Linking Human Systems, LLC, and ARISE® Network, and President of LINC Foundation, Inc., is a child, family and community neuropsychiatrist. A former ... See More professor of psychiatry and family medicine, she has devoted her career to developing Evidence-Based, Best Practice collaborative care family and community systems and resilience models. She enjoys overcoming challenging patient, family, business and community issues, and unraveling complex systems. Dr. Landau has consulted with addiction and mental health treatment centers, mental health professionals, consultants, organizations and interventionists around the world. Former professor of Psychiatry at the University of Pennsylvania, Psychiatry and Family Medicine at the University of Rochester, and Senior Consultant to the Trauma Studies Program at NYU and Columbia, Dr. Landau draws upon 40+ years of research and experience aimed at facilitating long-term healing for addicted individuals and their families.